Geeks, Bloggers, Social Media Activists and the Writers are hard to go away from their Laptops, Netbooks and some old stuff like Pens and some blanks pages to write on. But Me as Social Media Activist and Blogger at same time was thinking out of odds and it turned out to be a desired dream converted into reality. The idea of visiting Khewra Mines near Pind Dadan Khan can be thrown within some people who always ready to explore our beloved country, Pakistan but I turn toward Social Media Activists, Bloggers and response was amazing. 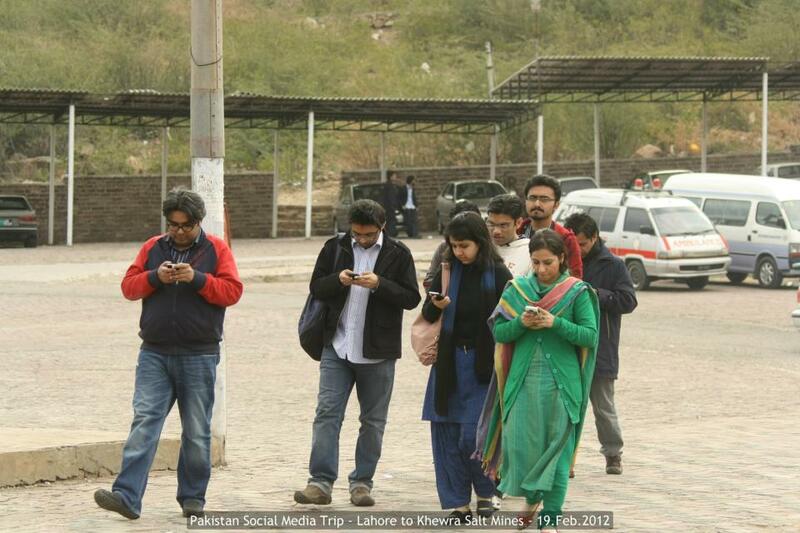 So we planned one day tour to Khewra Salt Mines under the brand of Pakistan Social Media Trip. We started our journey and before reaching the Motorway, all the participants were picked on the spotted points, where they are standing before the stated time of pick. All were very excited and the fun began before we reached the Motorway through which the route was designed with the help of Google Maps till Khewra Salt Mines. 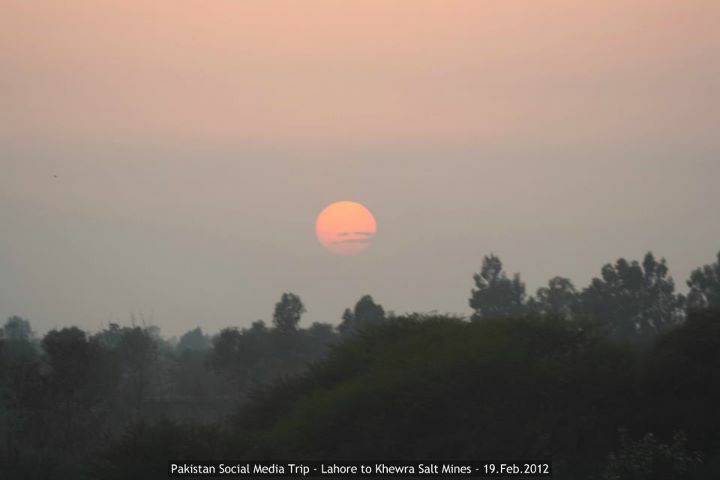 Approximate distance of Khewra Salt Mines from Lahore was pushed out by Google Maps was 246km and it was exact. Well I will not spend too much time on the introduction and description on Khewra Salt Mines because there are lots of other portals describing about the beauty and the ancient touch, which is entitled with the Khewra Salt Mines located in District Gujrat. Khewra Salt Mines was discovered by the troops of Alexander the Great in 320 BC. 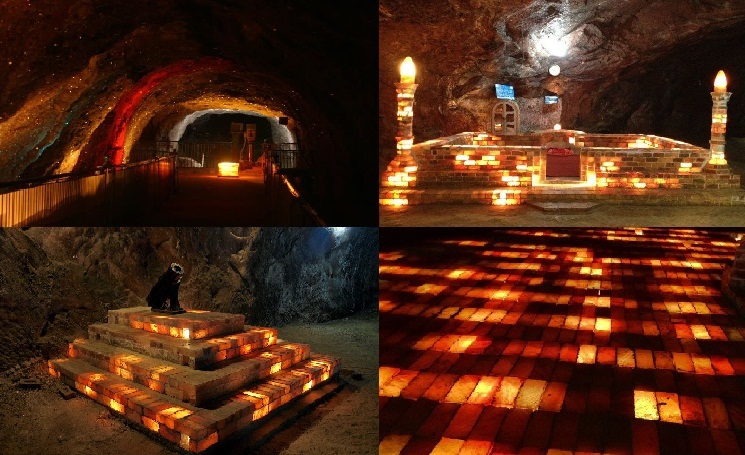 The Khewra Salt Mines has a spread over 42 sq. miles wide in that area. The Salt Mines floor which we visited is located almost at the center and has 19 stories and the floor which usually opened for the tourist is at 12th (which appeared to be ground floor). The ground floor was crafted in year 1872 and since then it is opened for the tourists. Currently as per specific estimation, more 40,000 visitors around the globe visit the place and now we are the numbers among the estimation but having different sort of nature and characteristics. Now back to Tour, which was started at 9:00am. During first part of our journey, we made first stop at Sukheki for breakfast, clicks and clicks that what was planned and it was done with having more than 1000 clicked pictures, capturing participants, green fertile lands of Pakistan and the obviously Motorway M2 of Pakistan. After having breakfast at Sukheki at Motorway, we resume our journey. Second pit stop was made at the Lila interchange bridge, where photo session was resumed capturing everything and then we moved on toward final destination. I had not expected and calculated the overcrowded place but after considering the fact of Sunday holiday, it seems usual at the end. Schools and other colleges touring groups were already there on the spot and we felt reaching, little late. Amazing part was that touring the Khewra Salt Mines does have any effect on our techie and geek nature and everybody tried to check-in on different social media portals via using slowest GPRS of different cellular networks but finally was sourced and helped by one good hotspot Wifi. So as it was decided, we went inside to the center of the Khewra Salt Mine on foot rather than on Electric Train. And it was very good little tiring effort but still it was fun. Whole tunnel and mine was naturally colored in Orange and while stripes, which makes it really beautiful. There were ponds of static water and the aroma of Salt was myth to be healthier, especially for the Asthma patients. 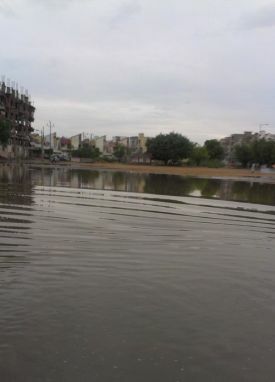 We continue till the round end where Mosque, Old Tank and monument of Minar e Pakistan was built, there again we were hit by hundreds to clicks and flashing cameras spotted everyone. For a moment we took rest near snack bar inside mine and then decided to make shift toward reverse journey toward our home town Lahore. It was already around 3 pm and everyone was very right and tight on his hunger control so decided to make pit stop at Bhera which is located near Lila Interchange. There we took late lunch at Subway and suddenly rushed toward the over head bridge on the Motorway combining both sides of Bhera Rest Area. Sunset was on and the further clicks were made there. After few final clicks we started final round of our journey and last at Krados BBQ restaurant in Lahore and took dinner and after that split started with exciting experience. I was among the few of the participants who have not visited the place but concept of visiting Khewra Salt Mines was to totally different. 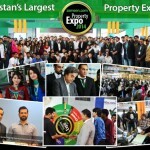 Before this specific tour and trip, we all gathered to focus and to blog, tweet about some specific Brand or product on the Events arranged by different Big giants like Google, Microsoft, or Samsung but never gathered to speak and to tweet about our beloved Country, Pakistan and idea clicked and I found my fellow participants speaking out loud for our motherland Pakistan. 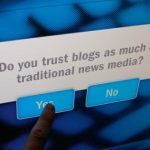 After very few days of the tour already three blog posts are published covering Khewra Salt Mines and my ambition to make these techie blogger turned out good as they are busy in compiling blog posts on Pakistan as well. It was little disappointed to see how the things are kept by Government and Ministry of Tourist and Development of Pakistan. The infrastructure, facilities and appropriate description and sign boards on different spots inside Khewra Salt Mines were missing. Train which was source of transport, was not in good condition but still the cleansing of this Ancient Salt Mines was good. Salt stones were delicately incorporated in the monuments built inside the Salt Mines. Even the electricity supply was also supported by the generators as secondary source. Road leading toward the Khewra Salt Mines better than many of the side road. 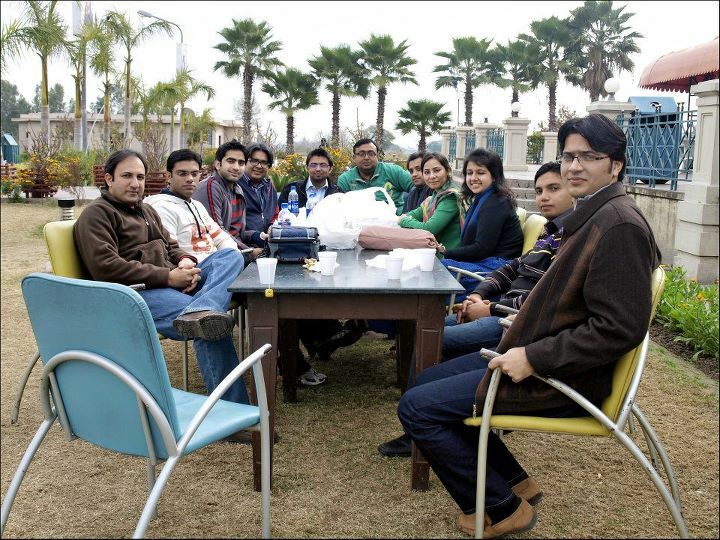 The Rest area outside the Salt Mines was nicely equipment with food court and sitting chairs and provides excellent view of the mountains of Khewra Salt Range. In the end I will like to thanks Haroon Aejaz, Talal Masood, and Usman Latif and ME for making the tour possible, because without their conclusive support in planning out this tour, it would not be possible to establish such a experience which was held at this first ever Pakistan Social Media Trip. And I am hopeful that we will bring more for the world to see about our beloved mother land Pakistan. And The Oscar goes to Pakistan. Sharmeen Obaid Chinoy with Saving Face.